Results from a retrospective cohort study indicate that long-term lithium treatment may be associated with increased incidence of Parkinson’s disease (PD) and antiparkinson medication prescribing. Although lithium is a first-line mood stabilizer, it poses unique risks to older adults who have been taking the drug for a long period of time. “Lithium levels increase as renal function decreases with aging, increasing the risk for several adverse effects,” including lithium-induced tremor, according to the authors. The drug is “known to cause a postural and action tremor of the upper extremities that ranges from mild to severe and is indistinguishable from essential tremor,” they wrote in the study, which was published in the American Journal of Geriatric Psychiatry. Severe tremor could indicate lithium toxicity. Lithium-induced tremor is estimated to occur in approximately 45% of patients taking lithium, and evidence suggests that it may occur more commonly in men and older adults. Although the mechanisms by which it occurs are unknown, experts believe it originates in the central nervous system. It may be especially difficult for clinicians to recognize lithium-induced tremor in older patients because it can emerge long after lithium treatment begins, as patients’ kidney function declines with age. The time lag between initiation of lithium and the onset of tremor can obscure the role of lithium as the cause of tremor. Additionally, since PD is more common among the elderly, practitioners “may be more inclined to misdiagnose drug-induced tremor as PD in this group,” which could lead them to prescribe dopaminergic medications, the authors report. “This would represent a prescribing cascade… (which) begins when a drug is prescribed and an adverse drug effect occurs that is mistakenly diagnosed as a new medical condition,” they wrote. As a result, a new medication is prescribed, placing the patient at risk of additional adverse effects. “The population of relevance here is those patients who are not diagnosed with Parkinson disease but have been on lithium for a long time–it seems that for some reason these patients are treated with antiparkinson medications at higher rates than the general population,” study co-author Connie Marras, MD, PhD, an assistant professor of neurology at the University of Toronto and a movement disorders neurologist at the Toronto Western Hospital Movement Disorders Centre, told Neurology Advisor. Though the prevalence of lithium use in PD patients is unknown, Dr Marras does not think it would be higher than in the general population, as there is no known increase in risk for bipolar disorder in PD patients. “This study points to a need to examine this prescribing phenomenon because it has implications for multiple medications being used in conjunction with one another and possibly unnecessarily so,” Dr Marras said. Marras C, Herrmann N, Fischer HD, et al. 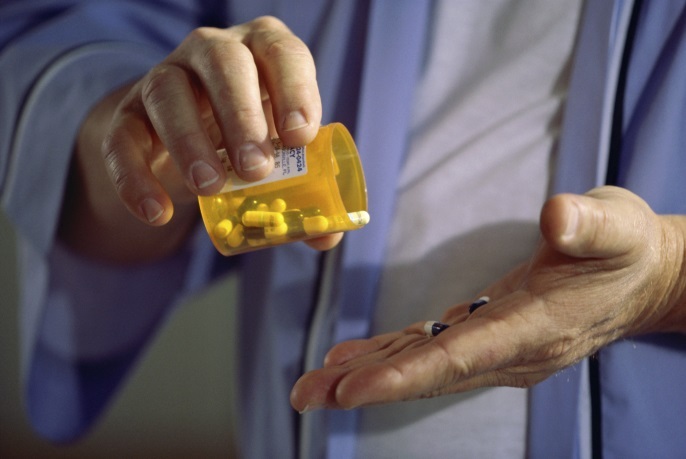 Lithium Use in Older Adults is Associated with Increased Prescribing of Parkinson Medications. Am J Geriatr Psychiatry. 2016; 24(4):301-9.